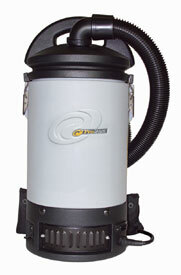 Introducing one of the most powerful, versatile and comfortably-quiet backpack vacuum ever created. The new, ultra-light Li'l Hummer II represents an advanced level of quality, convenience and features from the people who know backpack vacuuming best. The Li'l Hummer will send your competition packing! The li'l Hummer II / Sierra is a true all-area vacuum designed to replace the many different combinations of dry pickup vacuums built today. 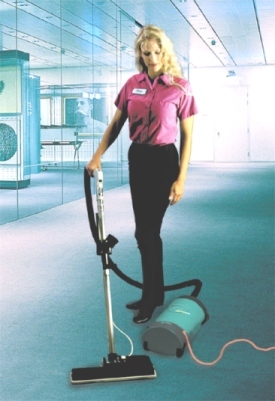 The li'l Hummer/ Sierra is available with more specialized cleaning tools than any other vacuum cleaning system to clean dirt off more surfaces than any other product of its kind - from high bookshelves to delicate electronic equipment. For example, an optional grounded electric power head the ProTeam Cap175 (# 103224) made by O reck is available for the Li'l Hummer II / Sierra , it is useful in thicker pile carpets and stickier dirt. It provides agitation which combines with the li'l Hummer's tremendous suction and airflow to out-clean virtually any vacuum on the market. The li'l Hummer is designed and built to meet the most stringent safety standards. 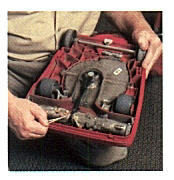 Unlike many commercial vacuums, the li'l Hummer is UL safety tested and listed for commercial use. The motor, which is protected against the possibility of overheating by a thermostat, is hard-mounted in a canister of soft but super-tough polyethylene. This absorbs shocks, allowing the li'l Hummer to withstand rough use without damage. Because dirt goes directly into the bag instead of through impeller blades of the motor, as with most uprights, down-time and maintenance are lower. In fact, with fewer moving parts and bearings to change, we confidently promise the li'l Hummer is the lowest cost vacuum you can own and use. And thanks to the li'l Hummer's modular design, it can be repaired virtually indefinitely using inexpensive parts requiring no special skills or tools. With extension wands, weighing less than 5 pounds total, the li'l Hummer cleans surfaces as high as 40 feet, eliminating the need for scaffolding. Factory Warranty, one year commercial parts and labor warranty on electrical components (does not cover normal wear or obvious abuse). Exhaust? We've baffled it in a way that prevents overheated legs. It won't blow papers off desks, either. To eliminate back and shoulder strain, the durable, highly advanced harness system (patent pending) distributes the vacuum's 10.5-pound weight comfortably on the user's hips, where it is carried by the large muscles of the legs. Adjustments for every pressure point make operation comfortable for virtually every body type and size. Years of testing and refinement have led to a suspension system unequaled in comfort, especially for women. Do You encounter any of these problems? Unacceptable periods of down time? Areas missed by an upright? The Micro Tex cloth filter bag which comes standard with the li'l Hummer provides an ideal combination of air flow and filtration. It filters air that is drawn through the vacuum, capturing particles as small as 0.1 micron in size at a rating of 95 percent. Ultra Stat disposable closed-top paper bags, with a rating of 98 percent at 1 micron, can be used inside the cloth bag for added filtration and convenience. Ultra Stat bags are treated with an antimicrobial agent to inhibit the growth of mold and bacteria inside the bag, which could otherwise escape into the air. 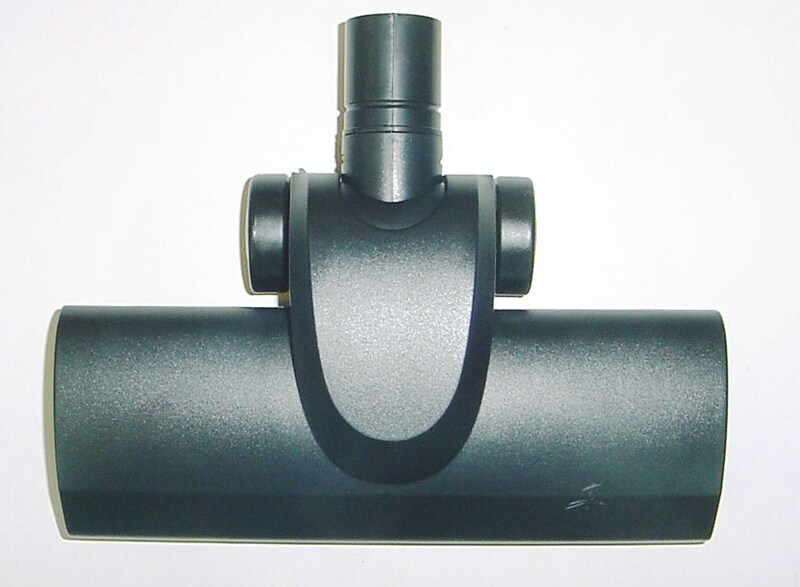 "Absolute" filters are also available for filtering 97 percent of particulates down to 0.3 micron in size.